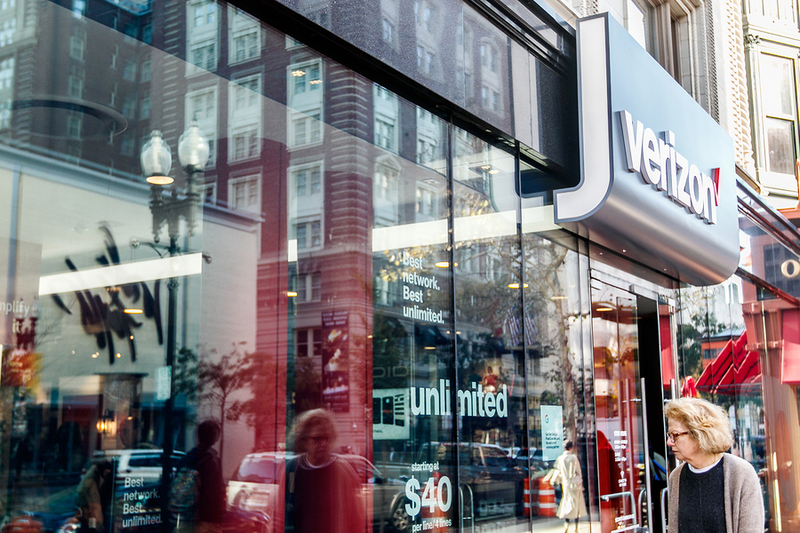 Boston October 28 2017: Woman is passing by a Verizon store and looking inside through the window. I knew that if I was going to improve my street-level marketing, one of the first things I had to do is learn the basics of how successful street-level marketing went. This was much more difficult than coming up with some flyers or popular places with street traffic but looking to make an impression upon everyone who came in contact with our brand. That came with knowing what type of message I wanted to leave and why. Designing a brand experience can be tough to decipher as it’s part science as much as it is personality. For example, as noted by Ragan, color increases brand recognition by 80 percent, so I knew that for things like the free t-shirt mockups and our tent, the color had to be something related to our brand’s personality. Most businesses only get one shot at their first impression with a customer, which although that can be nerve-racking, is also a good pressure to have. From there, it’s all about establishing value. The value of a street-level marketing effort will most likely be addressed in ROI, which is essentially the return expected to see off what’s put out. The ROI I was looking to have had to be top-notch as if you’re not careful, then having giveaways can be incredibly expensive; and as noted by Preferred CFO, 82 percent of businesses fail due to poor cash flow, which was a figure I was certainly looking to avoid. To do that, I had to understand the value of my giveaway items versus how much of a return I’d be able to see. When it comes to giveaway items, the actual return I’d see was somewhat hard to calculate at first. For example, I knew that while something like a lighter would be more expensive than say a cup or t-shirt, I also knew that it was an item they’d always have on them, and thus could gain more visibility. That method would be ultimately more useful if the majority of my customers were smokers; however, the principle remained the same. Overall, I learned that although I couldn’t think about things strictly in terms of customers but also visibility and advertising, which is where social media came into play. One hack I figured that would help with my street-level efforts was integrating social media with it to garner more attention towards my campaigns. Not only did this lend more value to my giveaways but also made my social media presence grow. After all, who doesn’t love a free water bottle or frisbee? Even with quality items, I still needed people to post about them, which came with looking into how people would perceive my brand. While I had invested quite a bit into our branding at this time, I had to find a synthesis between my current assets versus how they’d fit into both a hashtag and physical item tied to it. I knew I didn’t require much for hastags because as noted by SproutSocial, Instagram posts with at least one hashtag receive 12.6 percent more engagement. Ultimately, we decided our strategy would be to keep things simple, giving ourselves the best chance of success via an organic voice. Armed with these foundational items in place, our next step was to keep things consistent. Finally, as we kept aiming to grow and improve our street-level marketing, we knew we’d have to be out there every day. Not only was this important for growth, but for the sheer presence of being there. Believe it or not, recognition can increase revenues by as much as 23 percent (as noted by LucidPress), which goes to show how much that little bit of extra effort can be worth. Although it took some steady planning, once we established a calendar, this practice was a cinch. To begin, we listed out all the dates we estimated would generate the best street traffic, including any upcoming festivals or events. Furthermore, we also dictated what type of event would produce the best traffic. With an overall goal of going out and having fun with our potential customers, each of us picked a different event or weekend that we felt best matched our personalities. From there, it was all about converting everyone into evangelists of our brand, which is the most powerful mission. What are some strategies you’ve found helpful in boosting your street-level marketing?